Ex-office-buddy J's sister Miss C is just as charming as he is. 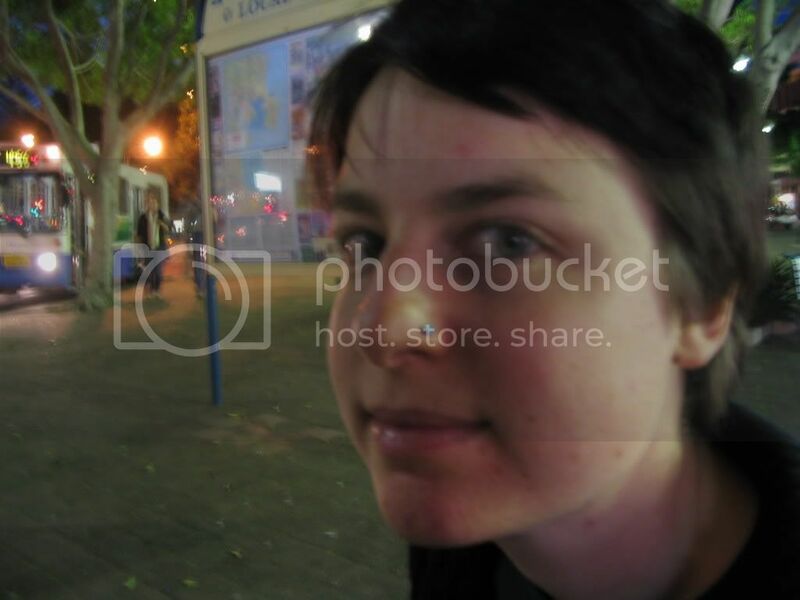 It had been a while since she and I had caught up, so we both pestered her brother to organise a dinner date. J and I caught a cab from the office to meet Miss C and her boyfriend W at Gertrude Street Enoteca for a glass of wine and a chance for J and me to unwind a little post-work. Our first choice for dinner was Gigibaba but they were closed, and there was no room for us back at Anada. 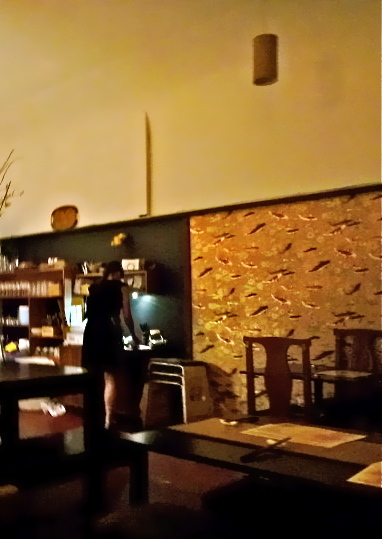 I led us down Smith Street, half-thinking of revisiting Goshen, but in the end we decided upon Peko Peko, a nifty little Japanese restaurant. I'm so glad we did, this place is a little gem! Most of our dishes contained meat or fish, but check out Michael and Cindy's recent excellent review for a look at some of Peko Peko's vegetarian dishes (their photo of the saucy okonomiyaki in particular has me salivating). 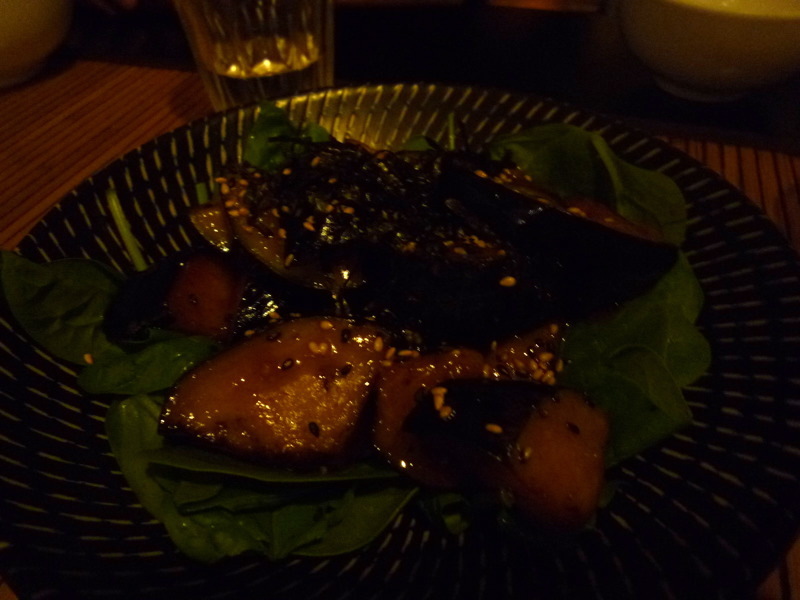 We were happy with all of our dishes, but it's safe to say that our favourite was the Nasu Dengaku (a bargain at $8): pieces of eggplant cooked in a sweet miso sauce and served on baby spinach. The eggplant segments were packed full of flavour and the sauce was lip-smackingly good. 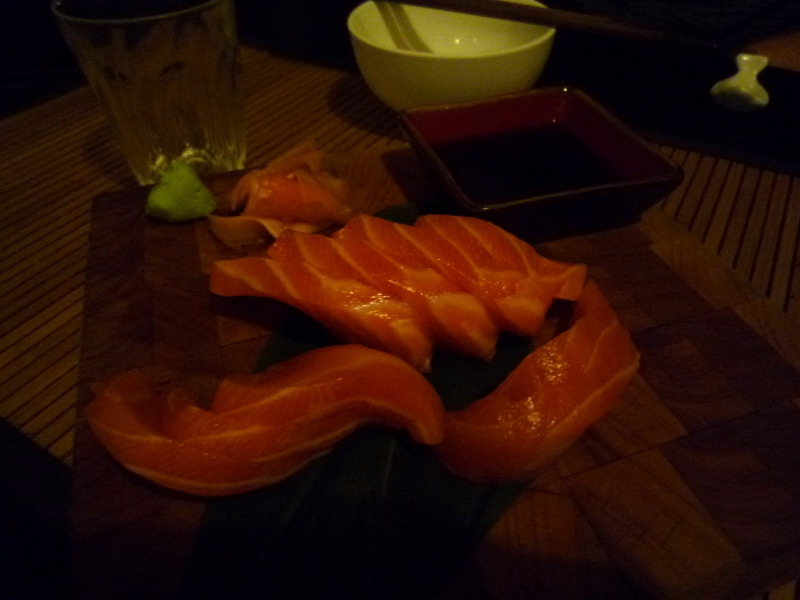 Other very tasty entrees we shared were the Salmon Sashimi ($12) and the Niku Gyoza ($8). The niku in question was chicken, mixed with coriander, shiitake mushrooms, garlic and five spice, pan-fried and served with a soy and chilli dipping sauce. Because I always love sashimi (especially when it's marinated or dressed in something interesting, as per the Sakuradon at Sakura), I put in a request for the Sashimidon ($17), which consists of salmon and tuna sashimi marinated in a soy and garlic sauce then served on sushi rice with nori and fresh shiso leaves. 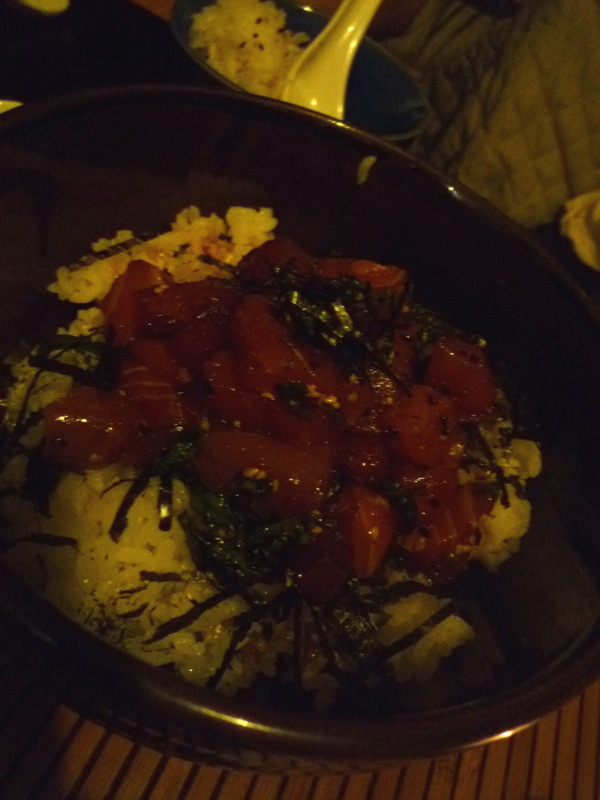 I loved the cold sashimi on the warm rice. I'm not such a big fan of squid (unless it's really, really, really tender), but W in particular enjoyed the Miso Ika ($13): squid cooked in a sweet miso and chilli sauce served on a bed of baby spinach. 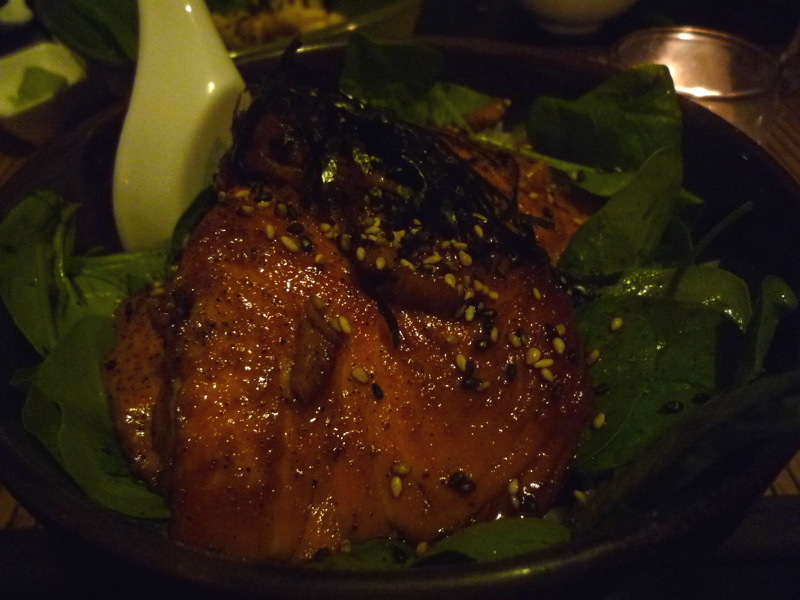 And to finish we had the Sakedon ($19), a salmon fillet cooked in a sweet soy, ginger, garlic and sesame sauce served on steamed rice and baby spinach and topped with shredded nori. One of the things I love about good Japanese food is how "clean" the flavours are - with the Sakedon you could really taste each ingredient both individually and as part of the overall dish. 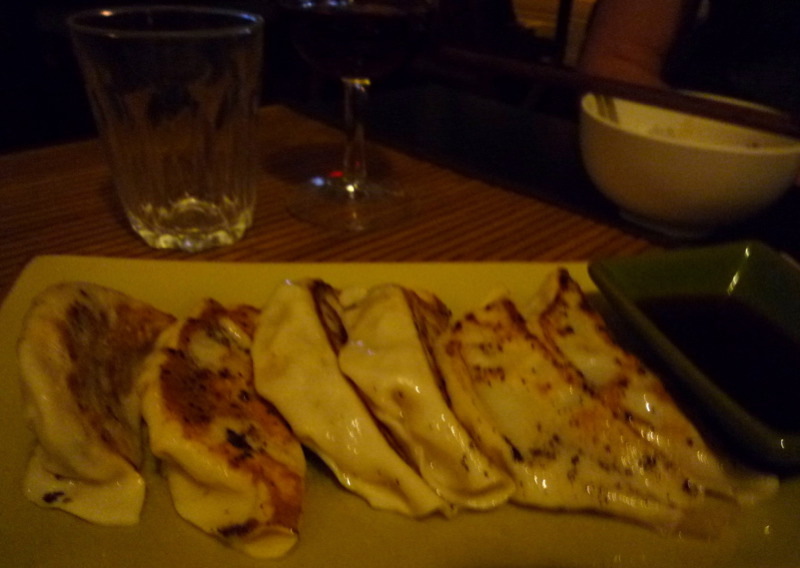 Not only is the food at Peko Peko great, but the staff are friendly and the prices really are very reasonable. 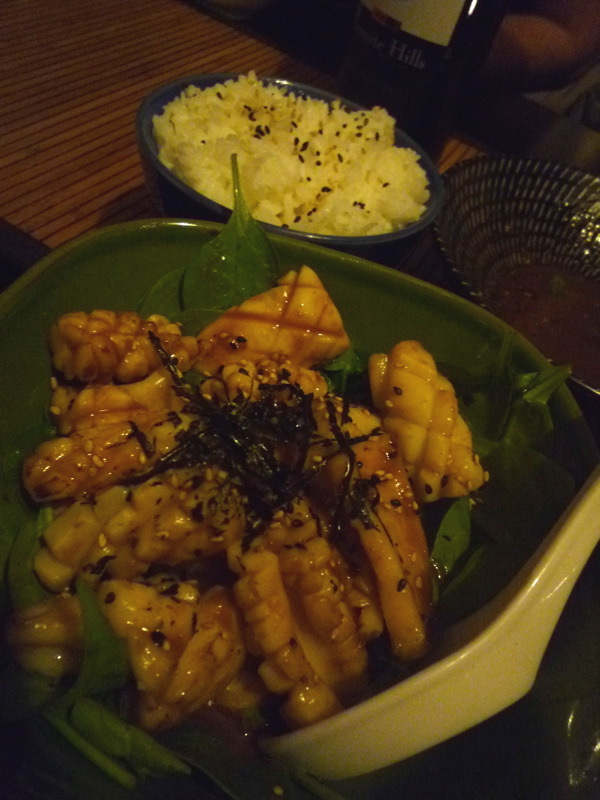 One of the pitfalls of writing a food blog is that I almost always feel compelled to visit a new venue when eating out (always on the search for interesting new content for the blog)... but I will definitely revisit Peko Peko, and revisit it soon!